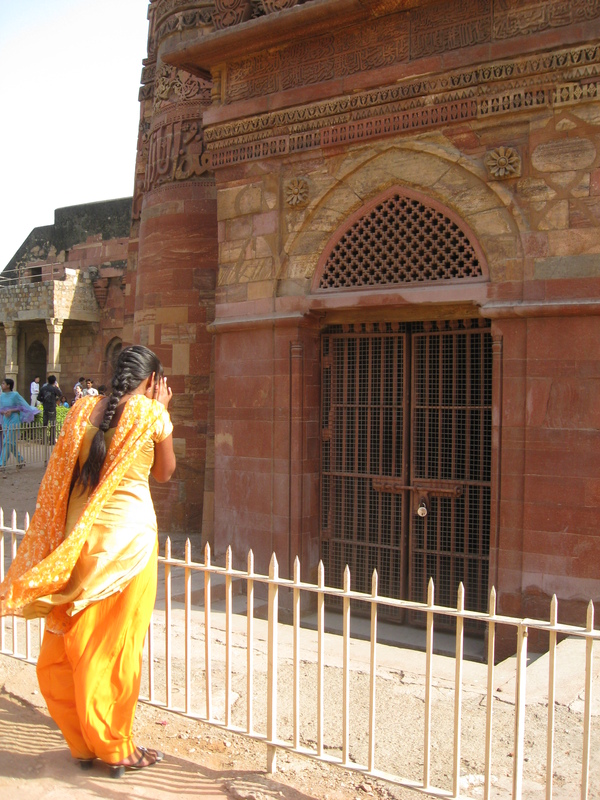 Most tourists use Delhi only as an entry point to travel toward the Himalayas or Agra. Many say Delhi is a disgustingly dirty city with nothing to see, but this is not true. This may come as a surprise, but I believe everyone should spend at least two days exploring this historic city. Read more and see why! We spent three nights in Delhi, and after our initial shock (see Arrival in Delhi: first impressions) it grew on us. We ate well, we visited well and the history of the world had never felt so fascinating. During our first day, which happened to be the Holi Festival, we had lunch at the historic Karim’s restaurant (ok food, nothing special) and visited the nearby 17th century Jama Masjid mosque. 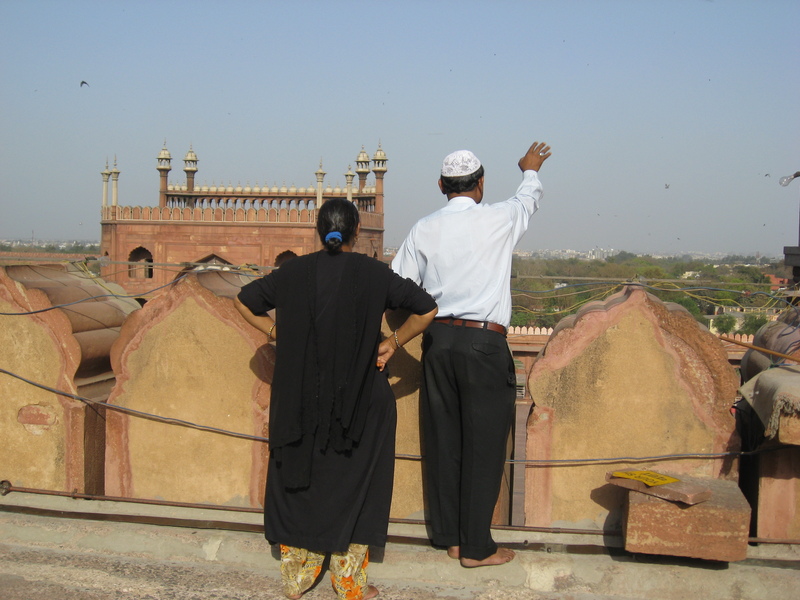 The view from the minaret was breathtaking. During our second day, we rented a car with a driver, and started the tour with the Red Fort, the fortified 17th century palace of the Mughal empire. Afterwards we visited the Jain temple across the street, which was our first-ever contact to Jainism, and Raj Ghat, the Gandhi memorial. After a very pleasant lunch break at Chicken Inn (very good food), we continued toward the older sites in the southern part of Delhi. 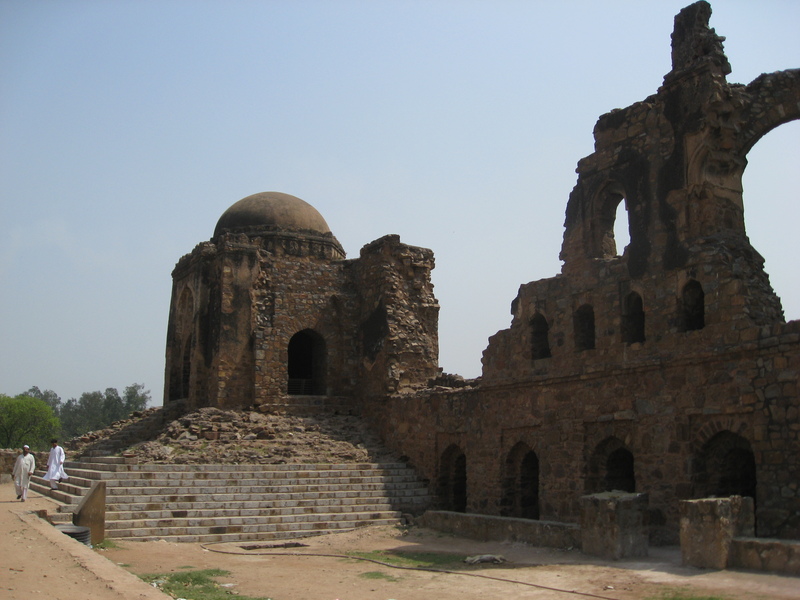 As many of you probably know, Delhi has been the capital of seven empires. Today, the ruins of these empires can be easily visited and it would be difficult for me to highlight just one, because each one of them was interesting in its own way. Some remaining cities reminded me of the Silk Road architecture I had seen in Uzbekistan, whereas some were pure examples of Muslim architecture. Afghan architecture was strongly present, too. To our delight, a lot had remained in a very good shape. However, if I must mention one city to visit outside the city center, I would definitely say explore Mehrauli, the first city of Delhi, where the famous 12th century Qutb Minar is located (the one in the photo). In the same site, you can see the mysterious Iron Pillar from the 3rd or 4th century (http://wikimapia.org/7381299/Iron-pillar-of-Chandragupta-II-Vikramaditya-375%E2%80%93414-CE). Such a lovely, interesting site. We spent a lot of time here, because many Indians stopped us to be photographed with them. How cute. We felt like Bollywood stars… We had such a fascinating day and I think Delhi completely outdid our expectations. Should I return to Delhi, I would definitely reserve one full day to revisiting all of these cities, and the ones I did not have time to see. As a tip I would suggest (like we did) renting a car especially for the visits in the southern part of the city. It can be a long way… Moreover, before you rent the car, make sure that the driver knows these cities. 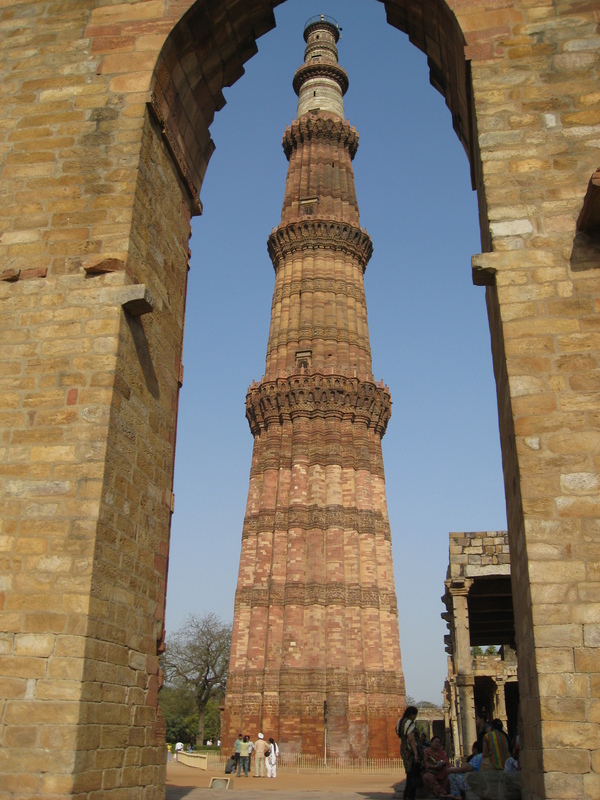 Everyone has probably at least heard about the Qutb Minar tower, but your driver doesn’t necessarily know the location of the other, less known cities. Ours didn’t, and he even kept insisting they don’t exist or that they aren’t worth visiting…. and to some extent he was right. At some sites we were the only people, which brings me to the last point. Visiting these southern cities can also be a nice way to get away from the hectic city center full of cars and people. Think about it and I bet you won’t be disappointed. PS So far, I have made three one-month long visits to India. I felt quite overwhelmed as to where to start (see e.g. India: Top 10 places to visit) but I have now made my decision. I will start unfolding my India experiences from the beginning, by posting about our first visit, which included Delhi, Agra (Taj Mahal), Rajasthan and Bombay. So, what you are reading now is the second post about this trip, and the previous one can be found here: Arrival in Delhi: first impressions. Stay tuned for more!! And don’t forget to join Pearlspotting on Facebook. This entry was posted in Uncategorized and tagged Afghanistan, architecture, art, food, Hinduism, India, Islam, Jainism, North India, religion, restaurant, Uzbekistan on March 6, 2014 by Miia. Thanks a lot! Those are the ones I took with my old IXUS..